The Internet is one of the most treasured inventions of mankind because it technically gives you everything you want. It can help you look up stuff that is important to you, you can meet new friends, you can even communicate with your loved ones through social networking sites. But aside from those wonderful benefits that the Internet provides us. 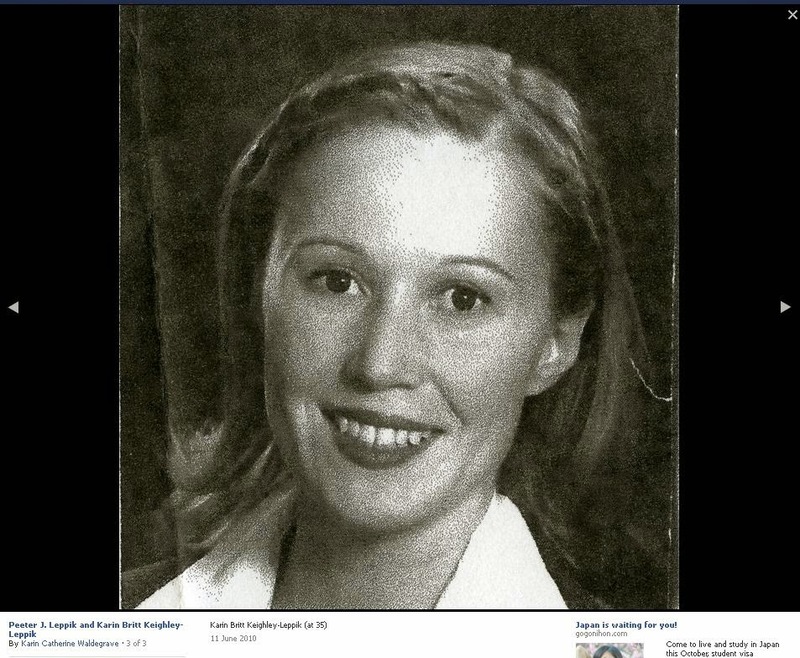 There are some creepy and bizarre stories that revolve around social networking sites and one of it would be the story of Karin Catherine Waldegrave. 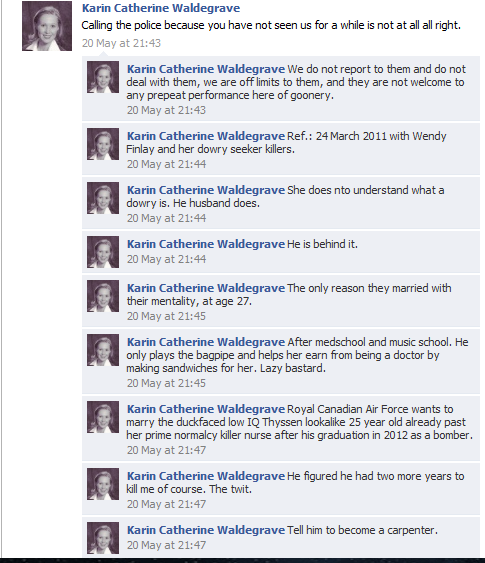 Karin Catherine Waldegrave was a Facebook user who sparked online attention on 2011 due to her hundreds of postings to her own Facebook page. Those messages were said to be cryptic and somehow alarming. Karin was born in London, United Kingdom, she studied at the University of Toronto and lives in Toronto, Ontario. Her background and skills is truly outstanding. She is absolutely intelligent as she's able to understand and speak many languages: English, Estonian, French, Russian, Swedish, Latvian, German, Gallic, Latin to name a few. But it all got creepy when her status was noticed to have a lot of messages. And that is not from her friends or fans, It is because she replies to her own statuses on Facebook not just once or twice. She repeatedly does it. It was also noted that she spends 12 hours or more a day just to reply to herself. Basing on her wall, She can be quoted to be obsessed with conspiracies such as CIA/KGB/FBI etc. She even has this wide knowledge regarding royal bloodlines, the Nazis, international criminal networks and more. Her posts became so bizarre and it even contained conspiracy theories that would totally give you chills. 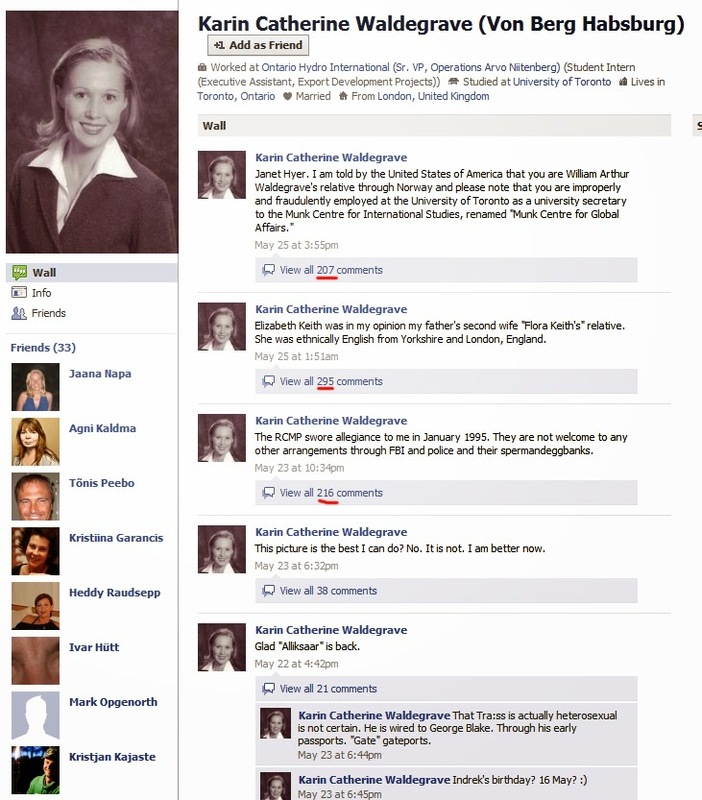 She knows the “Elite” and she released a lot of information through her statuses on FB. 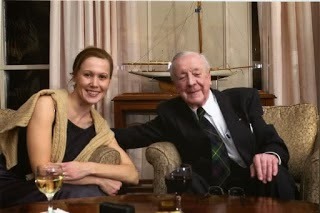 She discussed Micronet, Kate Middleton and more personalities that are known to be real. It gives confusion whether she is too intelligent and experienced that she has known all of that info coincidentally but if you check her other rants, it somehow looked pointless. There are theories to what happened to her, there are claims that she's too smart and she became too disturbed that she became schizophrenic. Some even said that there are two different people communicating on her account. Other creepy theory would be is that she is deeply into covert stuff that gives a possibility that she is actually a victim of MKULTRA. If you also tried to check her Facebook wall, her comments on her own statuses shows that most of her photos are either water-damaged or burnt. But there is no concrete proof that she totally gone insane or not. There's no proof as well of her real involvement with the groups that she talks about and gives about conspiracy theories. And whether she was mind controlled and the program had malfunctioned resulting to her bizarre spree of comments. As of now, there are still talks that she's now admitted to hospital or she just went gone. The said information remains to be unclear and needs further proofs.